Why should you choose pure drinking water? 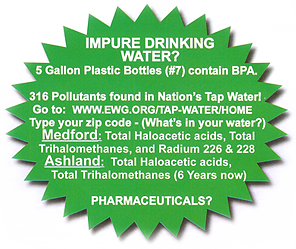 Pure drinking water is clean, healthy, and non-harmful. It creates optimum health, keeping you hydrated with a reliable drinking source. Unlike bottled water, drinking fountains, or filtered systems, pure drinking water doesn’t contain harmful contaminants. To have an expert water quality technician contact you to determine your needs and recommend the appropriate water treatment system for your needs. ﻿Do Salt Free Water Softeners really work?